The upcoming movie Snowden will paint the man President Obama once called some “29-year-old hacker,” as a hero who exposed the great injustices and overreach of the global surveillance state. This will, as Wizner hopes, have a huge effect on how the public sees Snowden. Right now, Snowden is in an odd state of legal purgatory. He’s been granted asylum by Russia until 2017, but has said that he wants to return to the United States. But Snowden and his legal team dispute the charges brought under a World War I era espionage act, which they say wouldn’t give him a fair trial. Movies like Snowden (think Zero Dark Thirty and 13 Hours, or even The Social Network) play a significant role in shaping the public perception of how events happened, true or not. The Social Network helped lionize the story of Mark Zuckerberg as a methodical genius, and Zero Dark Thirty helped propagate the lie that torture was helpful in finding out where Bin Laden was holed up. The public perception of Snowden has been shaped by people like Donald Trump who called Snowden a “traitor,” and said that he should be executed. Or by Bernie Sanders, who said that Snowden should pay a penalty for breaking the law, but still “played a very important role in educating the American people to the degree in which our civil liberties and constitutional rights are being undermined.” All told, Snowden has struggled to persuade the average American that he was actually acting in their best interest. Oscar winning documentary CITIZENFOUR was a truly incredible movie, and showed the minute-by-minute of Snowden holed up in a Hong Kong hotel room with journalists, but it didn’t have the widespread theatrical release that the upcoming Snowden movie will have. 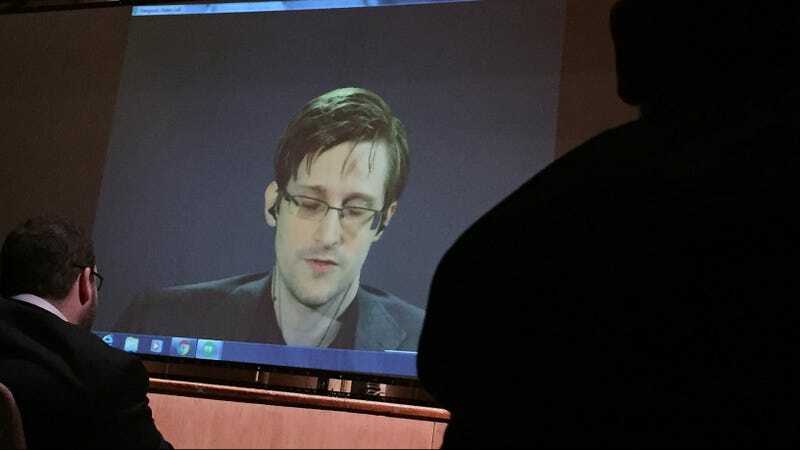 For the first time, a huge amount of people will see Snowden’s decision to leak though his eyes. A movie that shows an intellectually gifted American patriot concerned about government surveillance and civil liberties may help to dissuade the people who think Snowden might have been some sleeper cell secret agent. It may also help clear up common misconceptions about Snowden that work to sow distrust about his actions and motivations. He didn’t intentionally flee to Russia, as many of his critics have very publicly and loudly alleged. In reality, his passport was revoked while he was there during a layover. Setting the record straight on what actually happened to Snowden in the midst of the NSA leaks might help convince people that he was a legitimate whistleblower after all. The true impact, of course, will play out over the next year, as people see and react to the movie. “My sense is that people who have been following this very closely are not likely to be materially swayed by the Hollywood movie,” Wizner said.